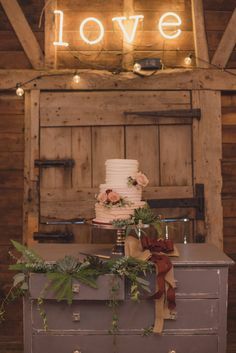 Visit the Plans & Themes page for more ideas. 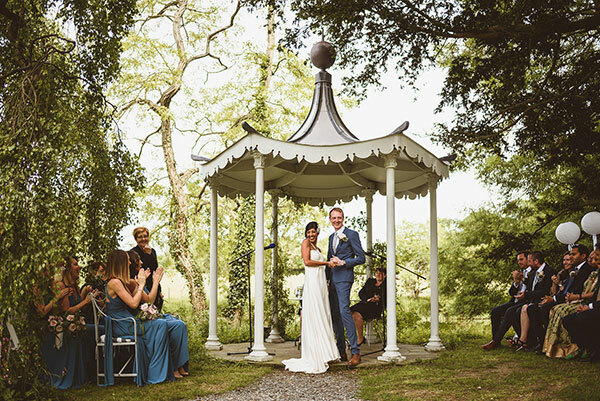 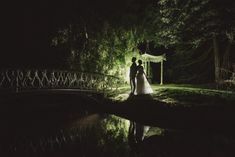 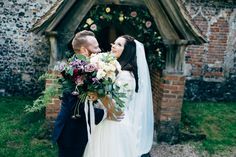 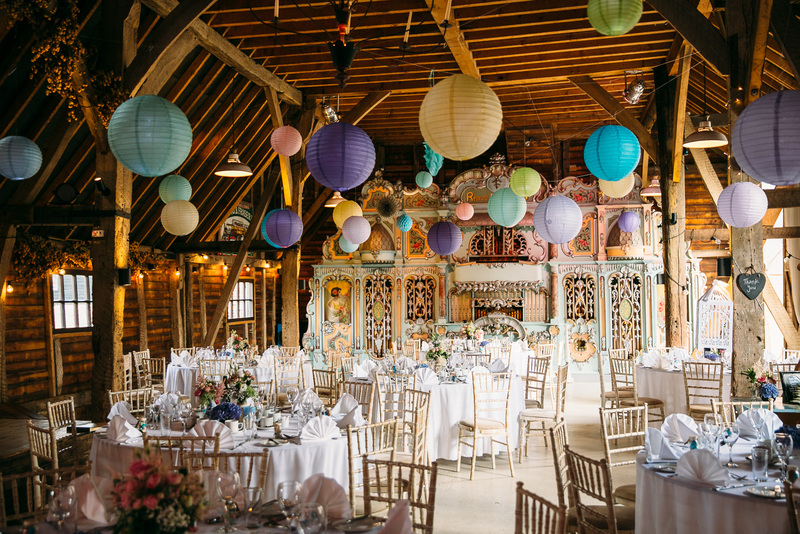 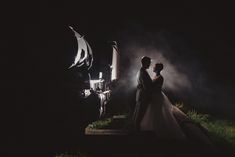 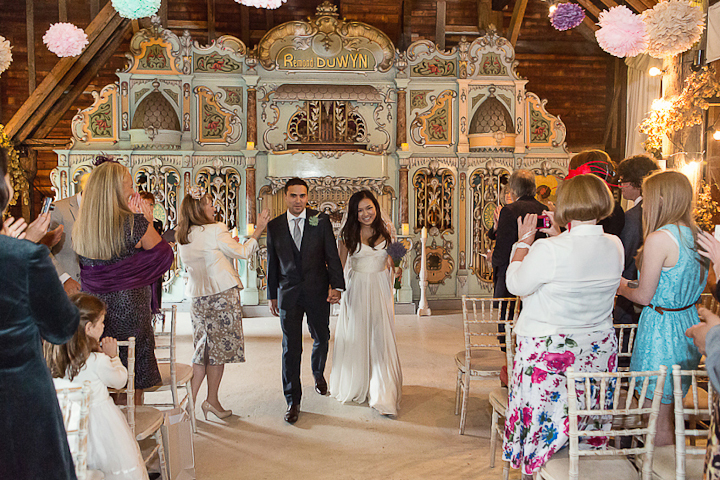 The 17th century Kent Barn can be used for civil marriages, the renewal of vows, naming ceremonies and civil partnerships on every day of the week. 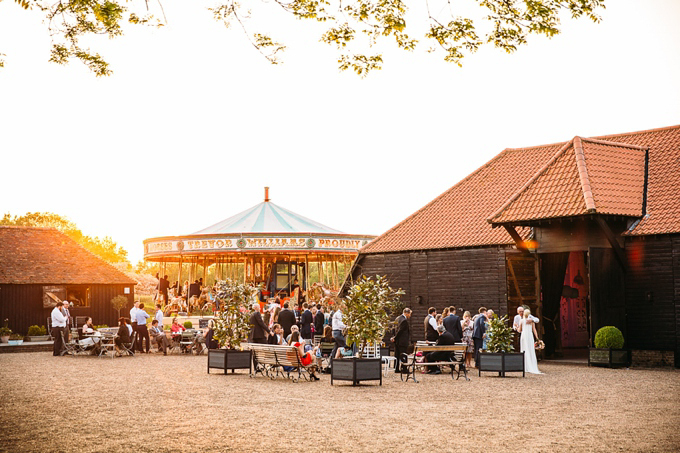 This simple but enchanting building is also a great space for dinners and dances, as well as corporate conferences and meetings. 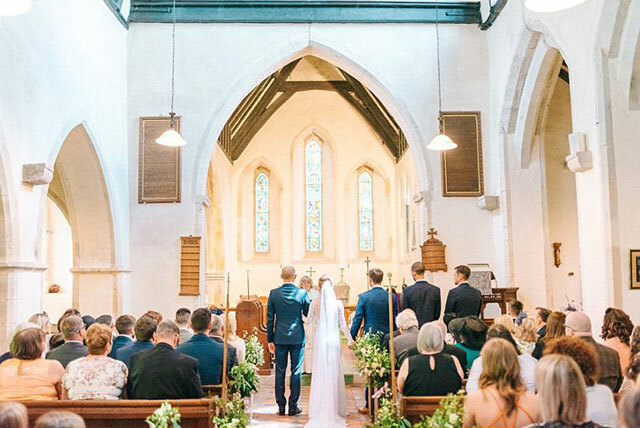 Seating up to 120 people for ceremonies, receptions and meetings, there is a maximum capacity of up to 150 guests in the evening. 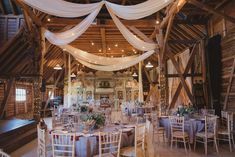 (You’ll have full use of both the Kent Barn and Long Barn buildings for your wedding reception, and these combined spaces will accommodate over 250 people). 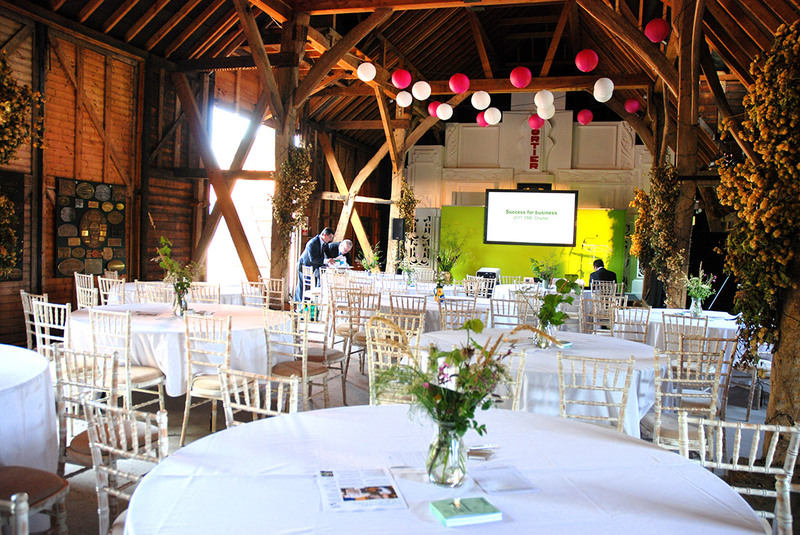 The Kent Barn is a large, traditional wooden framed agricultural building, originally used for storing threshing and other farm equipment. 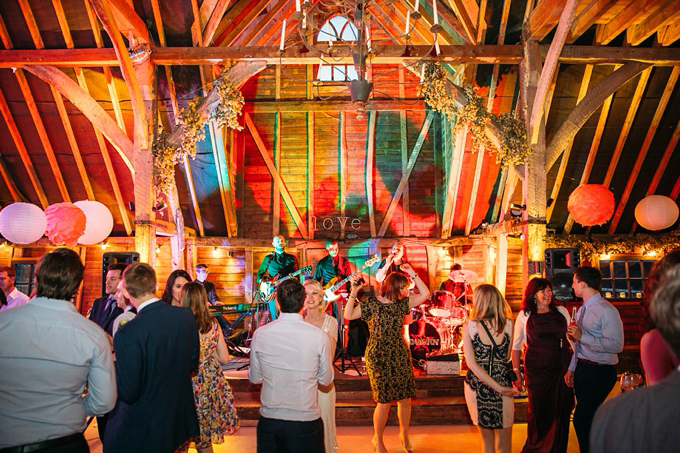 The dramatic space inside can be complimented by pretty fairground organs, while there’s a dance floor and a raised stage area for bands and D.J.’s to perform from. 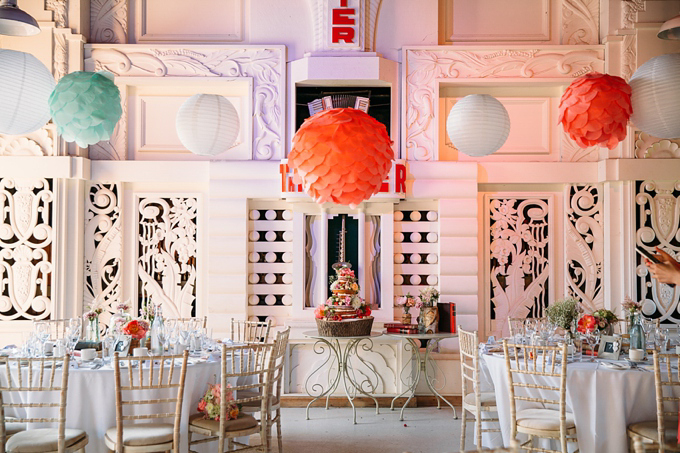 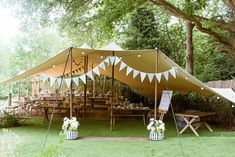 Very versatile, the space can be decorated to wide a variety of themes and styles and we even have an number of suitable plans and table dressing ideas. 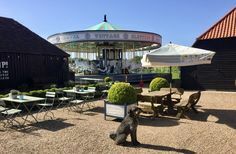 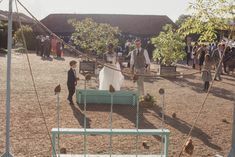 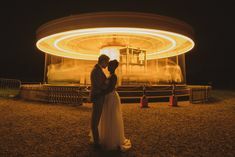 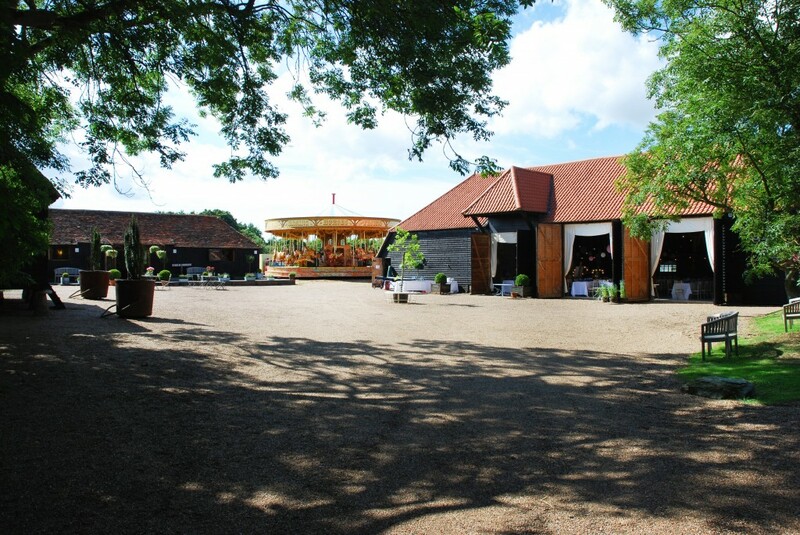 Please also note: we offer table service in and around the Kent Barn and Barn Yard, so that guests don’t need to move!